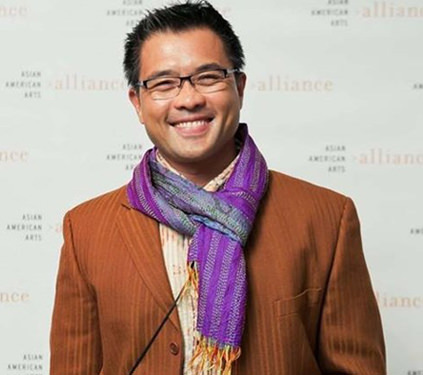 I hope my Asian American Journalists Association (AAJA) colleague Randy Gener is well enough to watch the Super Bowl. This year, the Super Bowl will have an Asian American of Filipino descent headlining the halftime show—pop icon Bruno Mars. Mars, who dutifully thanked his Filipina mother when he recently won his second Grammy for best pop vocal album, is far from some kind of “diversity/affirmative action” halftime stunt. Bruno has the goods. He just topped Taylor Swift and Justin Timberlake to be named Billboard’s 2013 artist of the year. He’s all that, and the chances of a wardrobe malfunction are nil. There will also be a few Asian Americans on the field. It would be hard to miss the Denver Broncos Sione Fua, a 300 pound Tongan/AAPI on the D-line. And Seattle suits up Doug Baldwin, the ex-Stanford wide receiver, who is a quarter-Filipino American. But all the Super Bowl hype has dwarfed another New York story that is historically more typical of the Filipino Asian American experience: the beating of Randy Gener, an openly gay Filipino immigrant. Gener, 46, was found semi-conscious on a sidewalk in midtown Manhattan between 3 to 4 a.m. on January 17. Police now say it wasn’t a hate crime, but how can they be so sure? A theatre writer, critic, and performer, Gener is a member of the arts community in New York, and it wasn’t until it was noted in BroadwayWorld.com a week later (Jan. 24) that most people even heard of his situation. His beating was so severe it required brain surgery. Indeed, the NYPD was investigating the incident as a possible hate crime until they arrested suspect Leighton Jennings, 24, earlier this week in Queens. Jennings was seen on surveillance video confronting Gener at the time of the incident. But Jennings’ side of the story is much different from anyone’s assumptions. A criminal complaint states that Jennings had a female friend who was walking down Seventh Avenue (a fairly wide sidewalk as I recall). Gener and the woman somehow bumped into each other. Here the bumping turned to thumping. The complaint describes how all the players responded in this chain of events: The female friend threw her purse at Gener’s head and missed. Gener reacted by kicking her in the chest. Then Jennings, who was in a car, came to his friend’s aid, kicking Gener in the stomach right before punching him in the face. Gener’s head hit the hard pavement, cracking his skull. See any bias? Or do we really have enough to know? The police think they have all the facts. But at this point, how can anyone be so sure? Remember, the police were looking initially for an “Hispanic” suspect, until they arrested Jennings, an African American male. Maybe it’s worth looking more closely at what can’t be seen or heard on the surveillance tape. Did someone, anyone, say politely, “Excuse me” or “Didn’t mean it,” accompanied with a polite smile? Or had the tone become so heated because some words were exchanged? Maybe that’s what the police don’t know. And that’s usually how you can tell whether there was bias. By Jennings’ story, he was simply defending a woman. And if he was, why didn’t he feel strong enough about it to just call the police on Gener at that point? Why did he feel so impugned that he was willing to punch and run? Gener? We’re not sure. He’s still recovering from brain surgery. But Gener’s story isn’t done until we find out what he can recall. Was he defending himself? Would Gener strike a woman? Did he aggressively push the woman away as she came at him, and did that look like a punch? By coincidence, Gener’s beating comes 84 years after what is probably the most famous Filipino hate crime in U.S. history–the shooting death of Fermin Tobera, Jan. 22, 1930. After Filipino immigrant workers in Watsonville, California rented a dance hall and hired white women to dance with, angry white vigilantes stormed a bunk house and shot Tobera in the chest. Sexual transgressions do have a tendency to enrage, no matter what your sexual preferences. Did we see that sort of thing in the Gener case with Jennings? Was Gener, who was walking home after the opening of a Broadway play, seen as somehow different enough from Jennings’ friends in Queens to inspire a more violent reaction than warranted? Does an inadvertent bump in the sidewalk really merit the kind of beating that requires surgery and a year of rehab? And were the prosecutors right to file misdemeanor, and not felony, assault charges against Jennings? Two minorities fighting? Rubber stamp it “street altercation” and move on. Hate crimes are harder to dissect and sometimes require more police time to root out what really happened. For the sake of justice, let’s hope the police keep working, and that the community keeps pushing for the truth. We wait for Gener’s recovery to hear his story. And we hope to hear from anyone else who saw or heard something along Seventh Avenue in the wee hours of January 17th.